Adara could not remember the first time she had seen the ice dragon. It seemed that it had always been in her life, glimpsed from afar as she played in the frigid snow long after the other children had fled the cold. In her fourth year she touched it, and in her fifth year she rode upon its broad, chilled back for the first time. Then, in her seventh year, on a calm summer day, fiery dragons from the North swooped down upon the peaceful farm that was Adara's home. And only a winter child—and the ice dragon who loved her—could save her world from utter destruction. The Ice Dragon was originally published in the 1980 anthology Dragons of Light. The novel was re-worked in 2007 with artwork by Yvonne Gilbert and again in 2014 with a series of original paintings by Luis Royo. 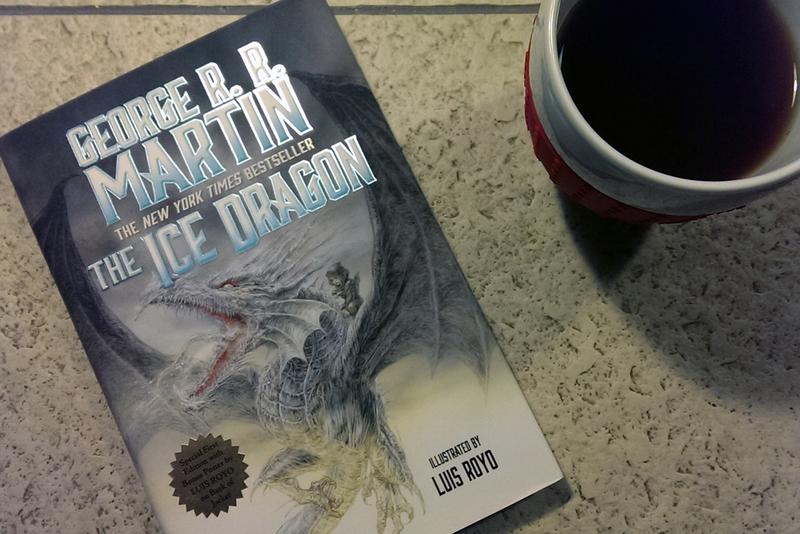 Even though it's marketed as such, it's not strictly set in Westeros (the world of the Game of Thrones novels) - in fact Martin has commented on his livejournal: "The world of Ice & Fire did not exist when I wrote THE ICE DRAGON", but it does undoubtedly share many similarities. I've heard some describe this book as a children's story which I disagree with. Teenagers sure, but reading this to a 5-year old and you're in for a nightmare - or rather, they are. We follow the young girl Adara who was born at winter and who's mother died giving birth to her. She is of the cold and thrives in it - and befriends the fiercest and most feared and fable creature of all - the ice dragon. All is not well in the lands and soon they find themselves invaded by a brutal army - and then George RR Martin once again shows just how little mercy he has for his own characters. It's not even close to comparable to the tomes of the Song of Ice and Fire series, but it is a good story nonetheless and definitely one any fan the author might read at some point. 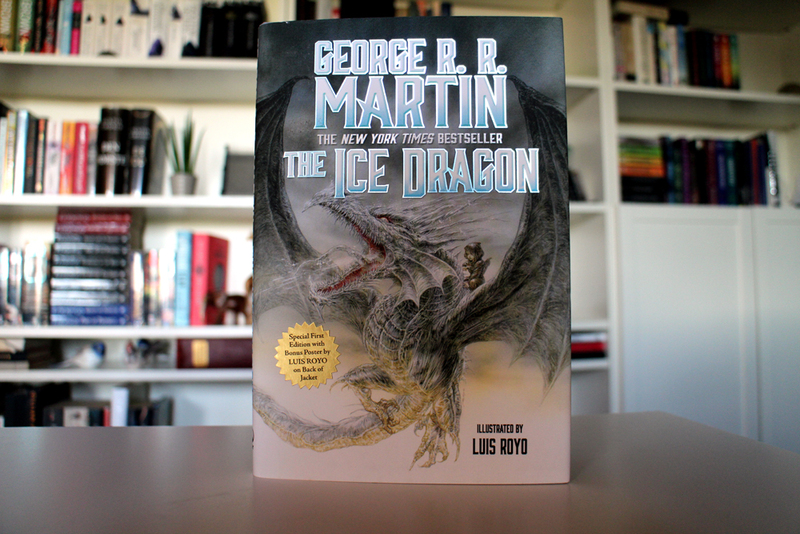 George R. R. Martin has created a fantastic children's story that will hold the attention of your child and you. You won't even mind reading it over and over when you are begged to do so. It does have a death in the story (I won't tell who and ruin the story), which may make it unsuitable for some children. Before you read it to your child you might want to read it yourself first. The illustrations are incredibly wonderful. I was enthralled by both the story and the illustrations.